Will Ferrell in Spanish? Really? Now, my first reaction was total skepticism. I thought, how is this “gringo” gonna pull this off? Second, for the record, I’m not a fan of his, so my uncertainty and negative perceptions about going to see this movie were already heightened and not very promising. 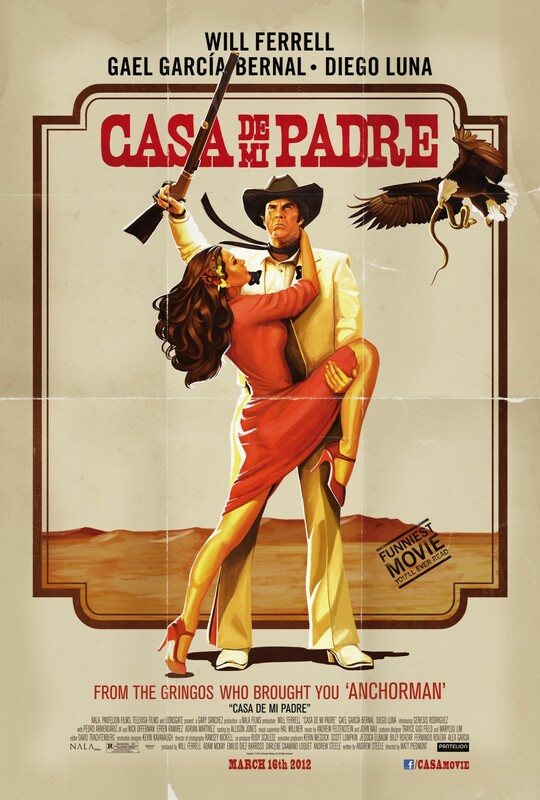 Casa de mi Padre, a film brought to us by Pantaleon Films (a joint venture comprised of Televisa and Lionsgate) is a parody of sorts. 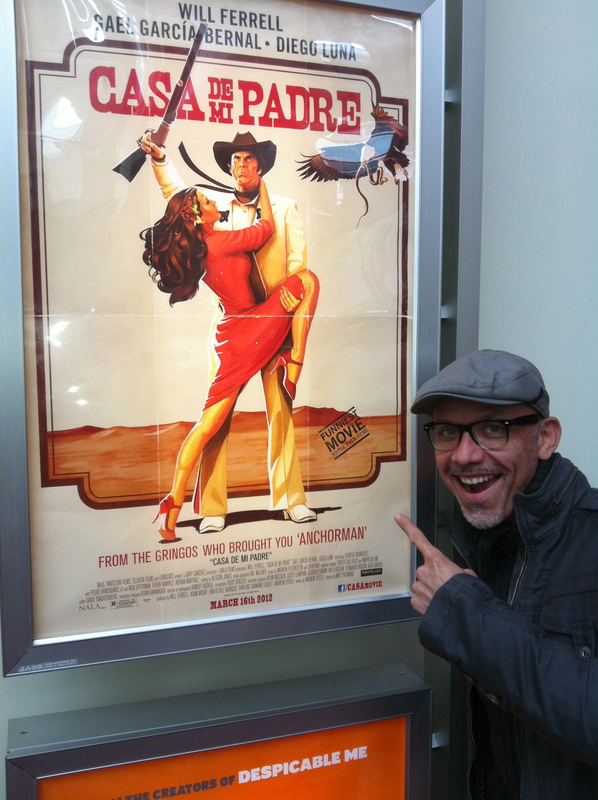 The film pokes fun at the low budget, silly B films of the 60’s and 70’s, as well as the melodrama of the Mexican telenovela genre (soap operas), which have been packaged and branded by the Mexican media giant Televisa since time immemorial. Add a sprinkle of Quentin Tarantino blood fest, and I think you have yourself a Hollywood hit. So, having said this, I was quite intrigued by the concept and felt that given the slim pickings we as Latinos have as far as representation in Hollywood, it was only fair to give this film a chance and go see it for myself in order to enable and sustain my criticism of the merits and/or faults of the final product. One of the main motivations to see Casa de mi Padre in all honesty for me, was to see Diego Luna and Gael Garcia Bernal reprise their work together. They’re like the modern Mexican version of Laurel & Hardy, and to this date, seeing them share credits on screen has not ever disappointed me (Y tu mamá también and Rudo y Cursi). So, in my case, Will Ferrell was definitely not the main reason why I went to see this film, though the fact that he was portraying a Spanish speaking Mexican in the film, was without a doubt, an interesting gem that did pique my interest at the end of the day… it was either gonna be really stupid and ludicrous (in good Ferrell tradition), or it was going to be genius (a new adjective I was going to apply to Mr. Ferrell for the first time ever). I’m happy to report, Will Ferrell’s performance blew me away, and to his credit, he hit a homerun with his rendition of Armandito Alvarez in the film. As a trained linguist, I can tell you his diction and pronounciation were on target, with a few excetpions. The guy actually rolled his R’s and pronounced his T’s and D’s as a Spanish native speaker, and that my friends, is quite impressive coming from an anglo saxon English speaker. I think for the first time, I was able to appreciate Ferrell’s comedic timing and the genius of his facial expressions. Will Ferrell had me at “hello” from the opening scene to the end of the film. The opening credits take us back to the B movies of the 60’s and 70’s with cool graphics dressed with Christina Aguilera’s powerful and soulful rendition of the movie’s main track La Casa. The silliness of the fake backdrops, fake horses and other campy sets and tricks are simply to die for. The hot Latin new comer vixen Genesis Rodriguez (Jose Luis Rodriguez “el Puma’s” dauther; who also has a singing cameo in film) was flawless in her performance as the typical telenovela damsel in distress, and Diego Luna and Gael Garcia, well, they’re just awesome in everything they do, and the chemistry between them and Ferrell is simply the stuff of movie magic. So, do I recommend the film? ABSOLUTELY. It will make you laugh and reminisce of your childhood, when la familia gathered around the living room to watch “Los ricos también lloran”, “Cuna de lobos” or “Santa”. It will transport you to a time of innocense and a time when life was just a bit more simple. The soundtrack is hot, but then again, so is the fact that Mr. Ferrell took a risk and believed in this oddball project, which from the audience’s reaction that day at the Arclight Hollywood, will pay off, and may yield great results for his career and that of Luna and Garcia Bernal’s…not to mention the backers of the project, Pantaleon Films. This one is a keeper and I can’t wait to own it on DVD.